Throughout the Yakuza series, Kiryu is pretty well-known to avoid romantic entanglements, whether due to his own choice or an outright obliviousness. One notable exception was Yakuza 2, and now retained in Yakuza Kiwami 2, as Kiryu gets to know the hard-nosed detective Kaoru Sayama. That relationship is the focal point of the new trailer for Kiwami 2, which you can find below. Yakuza Kiwami 2 is a full remake of Yakuza 2, originally released in 2006 in Japan and 2008 in America on the PlayStation 2. The game is completely remade in Yakuza 6's Dragon engine and has extra Majima content not present in the original release. You can pick up Kiwami 2 next month on August 28 on the PlayStation 4. A demo is available now on PSN. Destiny 2: Forsaken is an expansion in all senses of the word and that includes new gear for your guardian. 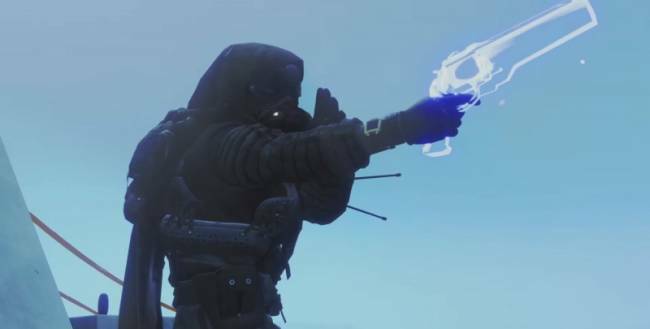 Bungie has released a video showing some of these and the effects they'll have on the enemies in front of you. Check it out below. You can see new armor like Antaeus Wards, which creates a projectile-reflecting shield, or the incredibly named One Thousand Voices, which shoots out an energy beam of fire. We've been running down exclusive Destiny 2: Forsaken information all month, which you can catch up on at our Destiny 2: Forsaken hub. Dengeki Online has posted an interview with Devil May Cry 5 director Hideaki Itsuno and the game's producers Matt Walker and Michiteru Okabe where the group talks about the game's reveal trailer and the characters within it. Thanks to forum ResetEra and user Sesha for translation. Devil May Cry 5 started development a year before Devil May Cry 4 SE's release in 2014, so the game has been in development for four years so far. The game's mission structure will be fairly similar to previous games, though Itsuno says they have made some small changes to the overall structure. The game is going to focus primarily on Nero, who commanded half the attention in 2008's Devil May Cry 4, and his life after meeting Dante. That said, Itsuno points out that Dante and the enigmatic third character on the game's box will play deep roles in the game. While they shied away from detailing him in either identity or mechanics, it was pointed out that the mysterious character has no weapons on the box art. Itsuno says that players will eventually understand the reason for this in the story. There is also a story reason Dante has a beard, besides him just being older. Iconoclasts, the newest game from Noitu Love developer Konjak, is coming to Switch incredibly soon. The Metroidvania will arrive on Nintendo's hybrid console next week on August 2. Iconoclasts released early this year on PlayStation 4, Vita, and PC, telling the story of a naive mechanic named Robin in a world that has banned people of her occupation. Through efforts to be helpful, she winds up getting involved in a major government altercation and finds herself hunted. The Switch version is coming with a boss rush mode and another difficulty mode that lets players get through some of the game's tougher portions. Those will also be made available for the PlayStation 4, Vita, and PC versions, but it's not clear if those will happen on the same day as the Switch release. The Switch version is coming with a boss rush mode and another difficulty mode that lets players get through some of the game's tougher portions. Those updates will also be made available for the PlayStation 4, Vita, and PC versions, but it's not clear if those will happen on the same day as the Switch release. Fans of the melee-focused Metroidvania-platformer Guacamelee have been hotly anticipating the poultry-filled sequel since its announcement last October. Now it seems Guacamelee 2 is ready for primetime with a release date announcement of August 21. Guacamelee 2 brings four-player co-op to the series but still retains all the melee combos and 2D exploration that fans have come to expect from the series. Check out the new footage in the release date trailer below. Guacamelee 2 will be launching on PlayStation 4 and Steam. Drinkbox hasn't said if the game will be coming to other platforms, but told us at PSX last year to simply look at how the first game progressed. For now, though, the announced versions of Guacamelee 2 will be available on August 21.